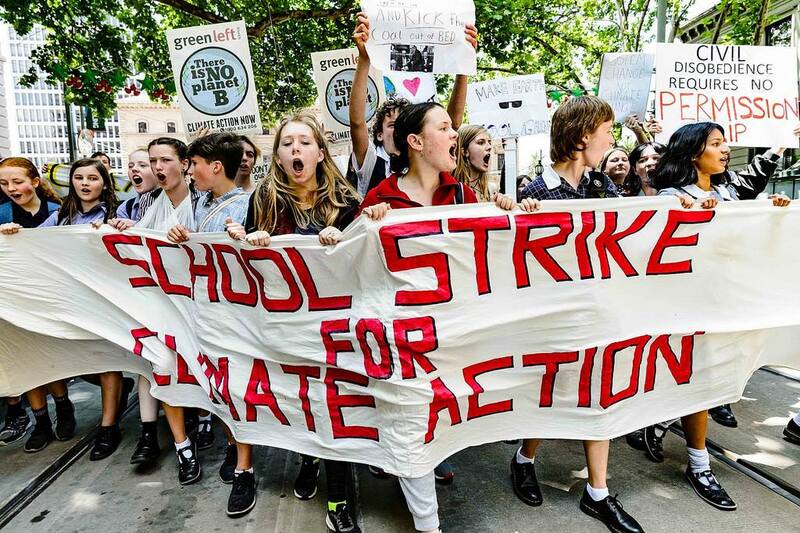 Image: School strike 4 climate. Today students all around the country went on strike to protest the federal government’s lack of action on climate change. It follows a wave of activity recently, including the stopping of a coal trains by zoology student Sadie Jones and teacher Greg Rolles.